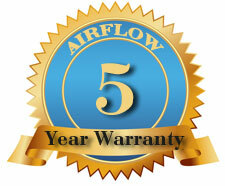 AIRFLOW Appliance Repair - no service fee if authorized work is completed. Unlike most companies, we do not charge travel time to the customer's residence. Our service charges cover examining the appliance, diagnosing any problems, and providing a written estimate. These service charges are among the lowest in the industry and will be waived after the estimate for your appliance has been approved, accepted and signed. Please refer to this list to find out which category your appliances fall under to determine the amount of the service charge.